ALIX for ONE is committed to expanding our network of global cities. To achieve this goal, we will be creating city partnerships with women-owned firms whose expert, city-based knowledge will help us better serve our subscribers in their city of residence and as they travel globally for business and leisure. Our City Partners will act as our eyes, ears, and tastebuds, helping us to discover extraordinary dining experiences around the world. Our partners’ recommendations must fulfill our list of standards, and will only be added to the ALIX For ONE collection once we have conducted a follow-up review and are assured they are suitable for our subscribers. As our partnerships grow, please check the News section on your app or on our ALIX for ONE website. 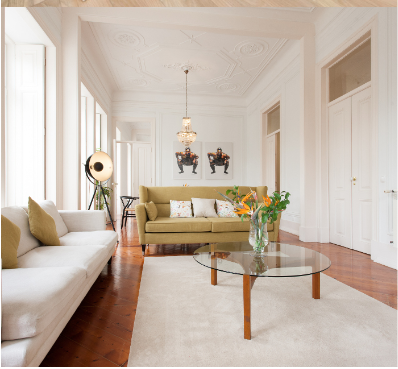 ALIX IS DELIGHTED TO HAVE AS A GLOBAL PARTNER, ALTOVITA, WHICH FEATURES A COLLECTION OF PROFESSIONALLY VETTED DESIGN HOMES FOR RENT IN PRAGUE, BUDAPEST, VIENNA, WARSAW, LISBON AND MARBELLA. AS AN ALIX FOR ONE GLOBAL PARTNER, ALTOVITA WILL BE BRINGING TO OUR ATTENTION DINING EXPERIENCES IN EACH OF THE CITIES THAT THEY KNOW SO WELL, ALL IN KEEPING WITH ALIX FOR ONE CRITERIA. ALTOVITA FEATURES A COLLECTION OF INSPIRING HOMES WITH SOUL.THEY VISIT EACH HOME IN PERSON AND MEET WITH THE HOSTS TO UNDERSTAND THEIR STORIES AND INSPIRATIONS. The four co-founders, led by CE0 Alison Ip, have collectively visited over 100 countries and speak over five lanugages. their TEAM OF HOME CURATORS IS A COMMUNITY OF HOSPITALITY TALENTS WHO LOVE TO PERFECT all ALTO SPOTS AND INTRODUCE visitoRS TO HARD-TO-ACCESS INSIGHTS THAT GET YOU INTO THE HEART OF EACH OF their DESTINATION CITIES. their breadth of experience will add to the enjoyment of ALIX for ONE SUBSCRIBERS AS ALTOVITA CAREFULLY SELECTS AND SHARES DELECTABLE CULINARY DELIGHTS. Artigo is a good friend of ALIX for ONE and The ALIX Experience sharing our love for visual art experience and travel in global cities. With Artigo as a Global Partner, we are able to bring Amsterdam to our collection of dining experiences. Most of them are intimate dining experiences that Artigo founder, Caroline Sodenkamp knows well when dining on her own or with friends. We totally concur after following-up from our side and we are drooling at every picture we have seen!! Artigo offers unique art experiences that vary from short exclusive guided art walks to complete extensive multi-day art programs and art travels. 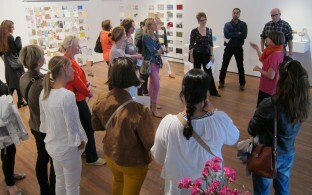 We organize art tours for companies, clubs, professionals in the arts and individual art-lovers. 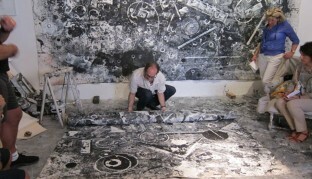 Furthermore we create complete programs for groups, such as art schools, museums and other art institutions. Besides New York and Amsterdam Artigo Tours also organizes art travels to many other fascinating cities around the world. Artigo takes you off the beaten path right into the heart of the local art scene!